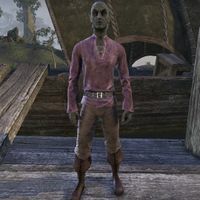 Falvis Raram is the Dunmer Navigator for Ebonheart Pact territories. For no fee, he can transport you to all Pact territories and the equivalent Tier of Covenant and Dominion territories. This page was last modified on 8 October 2018, at 09:20.